Do you want to turn your book into a program? Listen as program development expert, Elena Rahrig shares powerful ways to make more money with your book. Elena Rahrig is a certified professional coach. She has written nine books from her personal development book titled, “Are You Boxed In,” to her autobiography, how to books, and children’s books. She’s currently writing a book for a Hollywood movie. 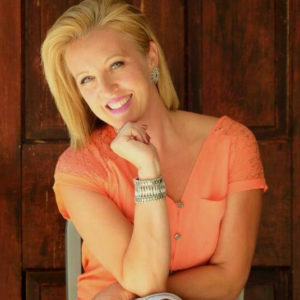 For over three years, she has helped entrepreneurs maximize their opportunities by helping them develop programs that run on autopilot earning them thousands of dollars in their sleep and taking their speaking career, and authorship to the next level. She helps her clients turn dreams into realities. Q: You’re an expert at helping authors turn their book into a program. What, exactly, are the benefits to turn your book into a program? A: If we look at the world as a whole, everything runs on a system. Society runs on a system. We send our kids to preschool, then school, then college, then get a job and work for 40 years in a 9:00 to 5:00 and then retire. Even our scripted life is a system. If you go into any workplace and you work for somebody, they have systems setup all over because systems make things function properly. It clearly gets you from point A to point B. The biggest thing with a program is that you’re able to take your client to another level. If you look at your book, your book in itself is a system. You start with the outline. Your outline is what becomes a book. It’s a system of writing the book all the way to designing the cover, sending it to print, getting it published, everything. Your speaking career, it’s a system. You learn how to speak. You write the outline to your speech. You memorize the speech. You practice it. Everything is creating a system.